Bristol-Myers Squibb and Pfizer have requested a Patent Term Extension for IL 160693 titled “Lactam-Containing Compound or Pharmaceutically Acceptable Salt Thereof as Factor Xa Inhibitor and Pharmaceutical Compositions Containing It” for Apixaban which is the active ingredient of Eliquis which was first registered in Israel by Pfizer Israel LTD, Pfizer having an exclusive license for the drug. 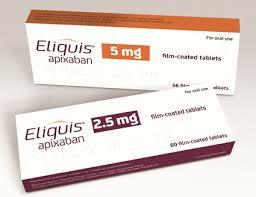 The applicants claim that the drug Eliquis was allowed by the EPO on 18 May 2011 and comes into effect on 20 May 2015 when the applicant received the Decision. The US authorization was given on 28 December 2012. The Italian marketing Authorization is dated 18 May 2011. Section 64j of the Israel Law states that the Extension will terminate no later than 14 years from the first marketing approval in one of the relevant countries. The Examiner calculated that the extension is from 18 May 2011 but the Applicant rejects this and there are three or four rounds of correspondence and a hearing. Essentially the Applicant argues that the day the decision was issued to the applicant is the date of importance, but the date that the ruling occurred. Thus the relevant date is 20 May 2015. “The period of validity of the authorization shall be five years from the date of notification”. Furthermore, the Official Journal states: Date of decision”: 18.5.2011 ; Date of notification”: 20.5.2011. And continues to establish that this is from the date of notification of the marketing authorization. The problem is that Bristol were required to detail all patent term extensions, and although the UK calculated Patent Term Extension from 20 May, and Germany the period has not yet been determined, in Italy, Spain and France the date of issue of the European decision, i.e. 18 May was used s the relevant date for calculating the extension period. Since Italy is a recognized country for this purpose, and Section 64j(2) of the Israel Law relates to the shortest extension from a recognized country, the Commissioner rejected this and upheld the Examiner’s decision of 8 February 2015, granting 974 days Extension until 18 May 2025. The enormous effort extended to try to extend the patent for a further two days clearly indicates the immense value that each day of patent protection grants.